Varming Consulting Engineers are proud to sponsor the prize for Athlone Institute of Technologies Best Student in Energy & Business Management Level 8 for 2018. 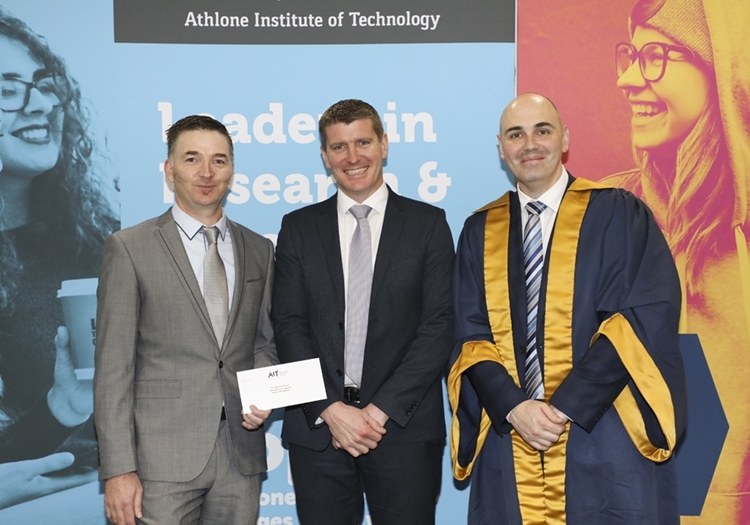 Pictured here are Keith Murphy, Project Director, Varming Consulting Engineers together Mr. Alan Duffy, Lecturer in the Department of Civil Engineering and Dr Sean Lyons, Dean of Faculty of Engineering & Informatics. Ms Charlotte Fleury special award recipient was unable to attend on the day.